I have started to write this post many, many times. I am still too fragile to go in to much detail really. I didn't think it was possible to cry this many tears. I feel like a part of me went with her. Thank God I have Juliet and Romey. I would not have been able to deal with this without them. 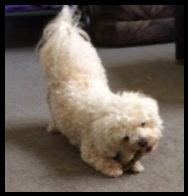 Chloe was my very first Bichon Frise. I fell in love with her the very moment I saw her at ten weeks of age. She was with me night and day for almost fifteen years. She followed me wherever I went. We literally did everything together. And I do mean everything. What a special bond we had. I cannot put in to words how I felt as I said my final goodbye. She suffered a seizure here at home. Rushed to the vet and they said to watch her. She came out of that one after a little while. That evening she had another one. It took her longer to come out of it. None of us slept that night. Early in the morning she had her third seizure and I knew. At this point, she could not see or hear. She was confused and frightened. I knew it was her time. I will treasure each and every single second that we shared. Had a conversation with Juliet and Romey...and let them say goodbye. Chloe will always live on in our hearts ... My One and Only Chloe Girl. they are not with their special person who loved them so much on earth. you take him in your arms and hug him. How would you like to enjoy super sweet kisses from your furry friends this holiday season?? Check out Merrick Fresh Kisses Holiday Mint Dental Treats over on Chewy.com. These dental treats are uniquely shaped like tiny little toothbrushes! How cute is that?? Let your pup in on the holiday fun greeting family and friends with fresh smelling kisses that will win them some points! A very special blend of peppermint, coconut, lemongrass and rosemary helps keep breath fresh and the cute little brush design helps control tartar and plaque. These tasty chews are designed to be easily digestible with natural peas, gelatin, and tapioca. The very BEST part is that these dental treats are made right here in the USA with no potatoes, grains, corn or soy...plus NO artificial flavors, colors, or preservatives. Your dogs will be all ready for the holidays too! Head on over to the Chewy.com site and pick up some Merrick Fresh Kisses Holiday Mint Dental Dog Treats! Let's show Chewy some love on Facebook, Twitter, and Instagram. Here's to a super sweet Holiday Season!! 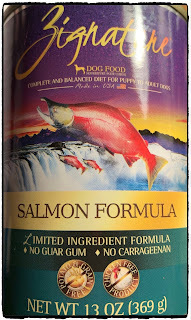 For our Chewy.com Review this month, we are reviewing the Zignature Salmon Limited Ingredient Grain Free Canned Dog Food. Chloe, Juliet, and Romey just love this tasty food!! It smells so good, I just might join them for dinner! The ingredients are: Salmon, Fish Broth, Salmon Meal, Peas, Chickpeas, Agar Agar, Sun Cured Alfalfa Meal, Potassium Chloride, Salt, Calcium Carbonate, Minerals (Iron Proteinate, Zinc Proteinate, Manganese Proteinate, Copper Proteinate, Magnesium Proteinate, Sodium Selenite, Calcium Iodate, Vitamin E Supplement, Thiamine Mononitrate, Niacin Supplement, Calcium Pantothenate, Biotin, Vitamin A Supplement, Riboflavin Supplement, Vitamin D3 Supplement, Vitamin B12 Supplement, Pyridoxine Hydrochloride, and Folic Acid. 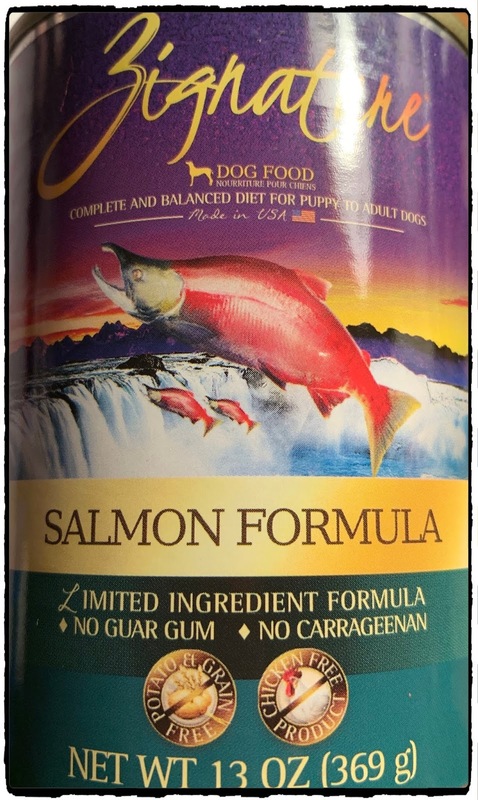 Zignature Salmon Formula for dogs is formulated to meet the nutritional levels established by the Association of American Feed Control Officials (AAFCO). Not only am I thrilled to feed my dogs Zignature, I have noticed a real change in Romey's itching issues! Zignature is truly a very good quality food! We all highly recommend this brand. So hop on over to the Chewy.com site and check out what all the other customers are saying about this fabulous brand! Zignature offers a 100% satisfaction guarantee so if you or your pet is unhappy with the food for ANY reason at all, just return it along with your receipt for a full exchange or refund. 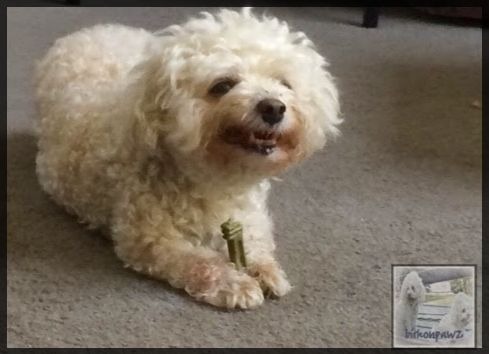 You can purchase Zignature dog food in all flavors right on the Chewy.com site. 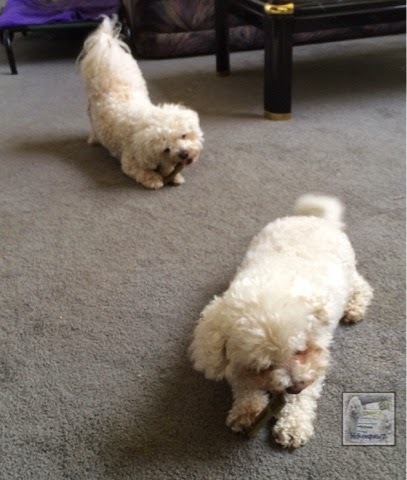 Please follow along with Chewy.com on Facebook, Twitter, and Instagram! #Chewy Delivery! Taste of the Wild!! OK guys! I think y'all know that we are Chewy Influencers so we wanted to share with you this FABULOUS new food we got to try!! It is called Taste of the Wild and it is HIGHLY recommended by us!! We would like to specify that the one we tried was the Wild Pacific Stream...for a Grain Free Diet. ~ Made with real salmon as the first ingredient along with other protein-rich ingredients including ocean fish, in a savory stew for lean nutrition and to help support strong muscles. ~ Natural recipe with added vitamins and powerful antioxidants from real fruits and vegetables support overall health, while omega-3 and omega-6 fatty acids support healthy skin and coat. 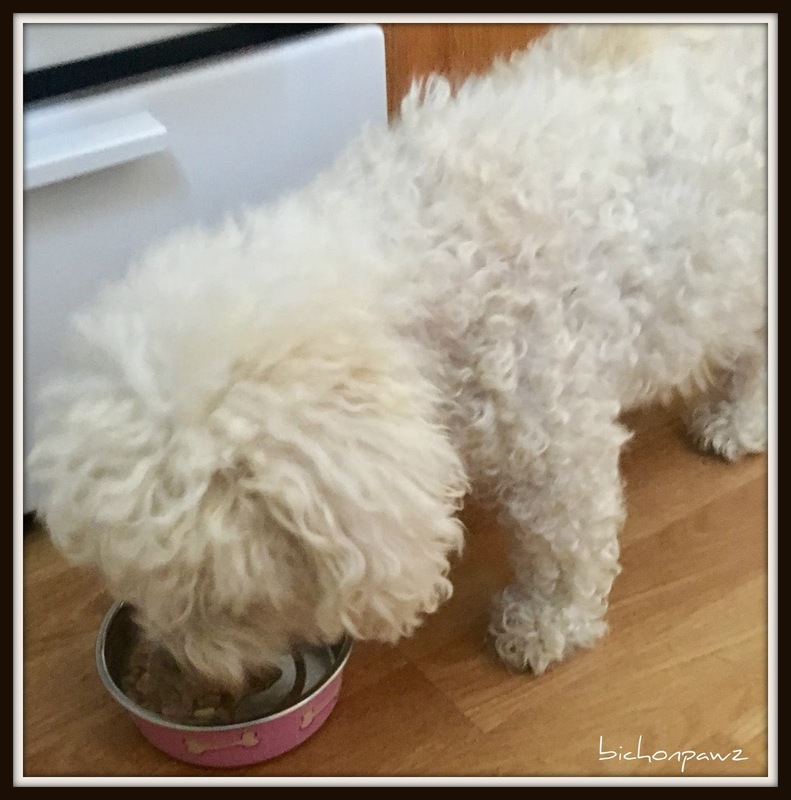 ~Made with ingredients from trusted and sustainable sources with no grain, corn, wheat, filler, artificial flavors, colors or preservatives makes this recipe perfect for sensitive pups. ~ Nutrient-rich and highly digestible recipe made with probiotic fiber and nutrients from sweet potatoes, blueberries and raspberries. ~ Made in the USA by a family owned and run company with the most scientifically advanced food safety protocols because your pal deserves nothing but the best. See how big those chunks are?? They sure are TASTY!! We even eat stuff that is good for us and we don't even know...it tastes THAT good!! We are going to list out the ingredients because we know that some dogs have allergies and must be very careful what they eat. 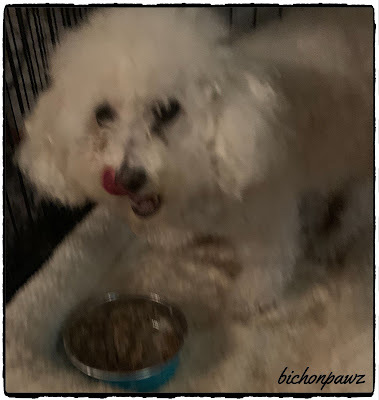 Can you see how much Miss Chloe is enjoying her tasty food?? Definitely going to keep some of this food around...it is FABULOUS!! Let's celebrate Fall with Chewy!! You all know how much Chloe, Juliet, and Romey LOVE their Greenies!! It is one of their most favorite treats! Isn't it awesome we can pick and choose different flavors to go with the seasons?? Give your pup the mouth-watering treats that boost dental health with the Greenies Pumpkin Spice Flavor Dental Dog Treats. 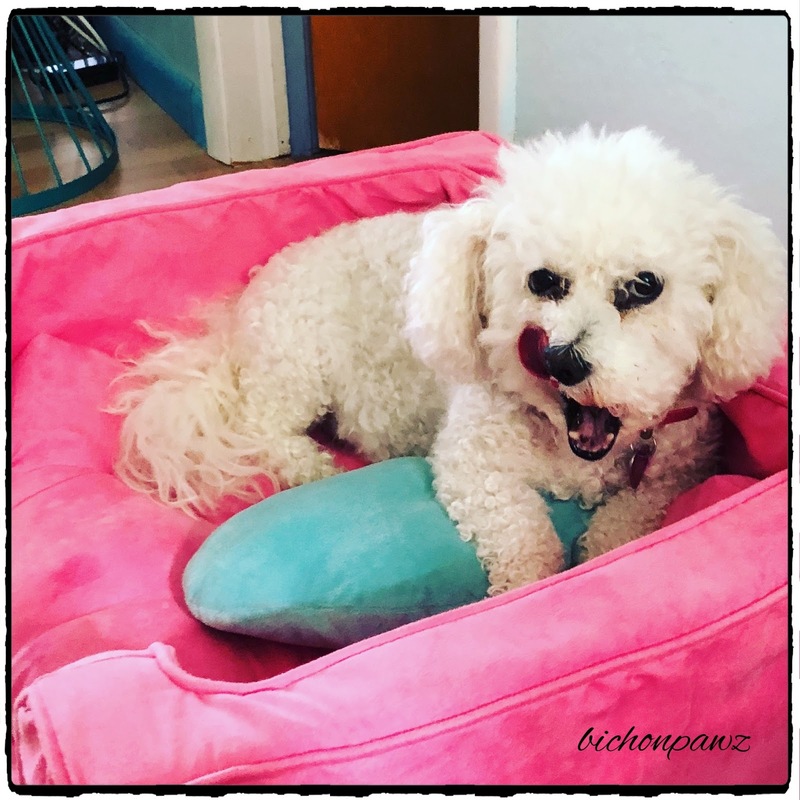 Vet recommended for dog dental care, these treats have a unique texture that fights plaque and tartar to keep teeth clean and maintain healthy gums, which means more smoochable moments with your fresh-breath pup. 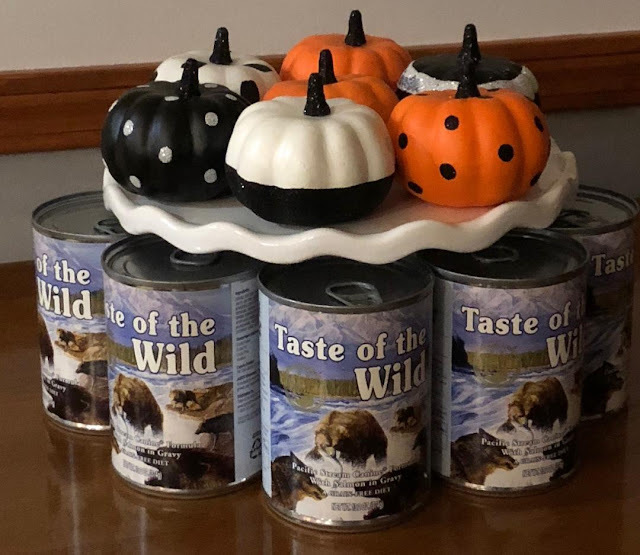 Easy to digest and made with natural ingredients including delicious real pumpkin and pumpkin spice flavor, your furry friend will love them as an everyday treat. 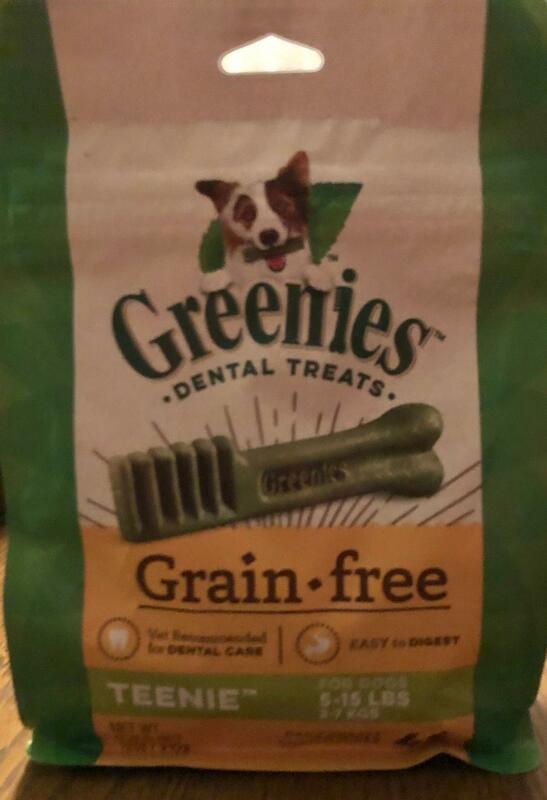 Did you know...Greenies are accepted by the Veterinary Oral Health Council AND proudly made in Kansas City since 1996. We love it when Chewy makes a delivery at our house! The fluffs ALWAYS know it is for them!!!! 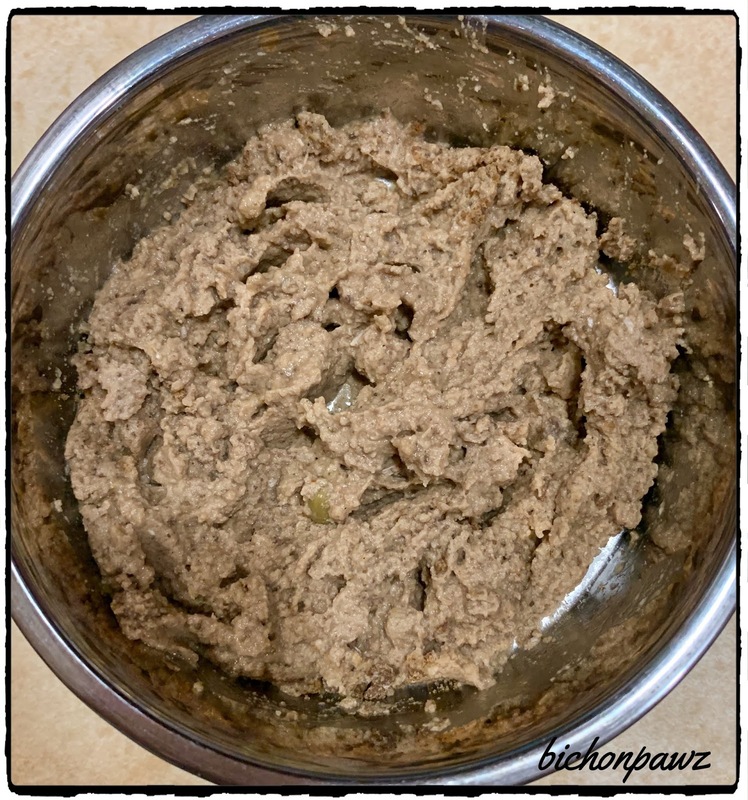 #Chewy Delivers with Grain Free #Greenies!! You all know how much Chloe, Juliet, and Romey LOVE their Greenies!! It is one of their most favorite treats! I thought they would like to try the Grain Free Variety! 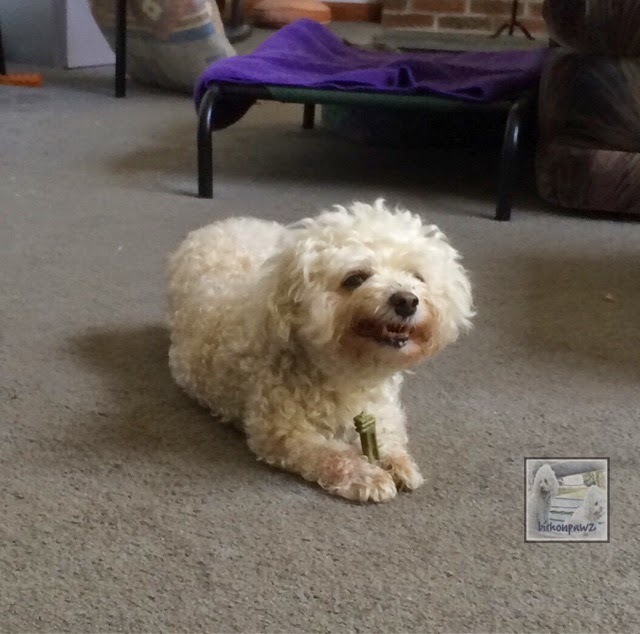 Complete oral care is important for your dog’s total body health and can add years to their lifespan. 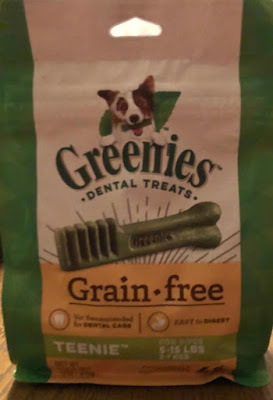 Greenies Grain-Free Canine Dental Chews are proven to clean dogs’ teeth by fighting both plaque and tartar buildup, freshening breath, and maintaining healthier teeth and gums. Their new Grain-Free Chews are formulated with chickpeas and potato for a more natural diet, making these low-fat dental chews perfect for daily treating. All Twelve Paws Up for Grain Free Greenies!! #Chewy Delivery: Merrick Lil Plates Mini Medley Grain Free! Chewy came for a visit!! This time...Merrick Lil' Plates Mini Medley was delivered! You will be happy to know that these are GRAIN FREE!! Did you know that almost half of today's dog population are small breed dogs? Because there is such a rise in the small breed population, there is a high demand for quality food that is formulated for their dietary needs. Merrick has introduced an entire line of grain free wet and dry recipes for small breed pups with big appetites! The Merrick Lil' Plates lineup is super convenient and easy to digest. 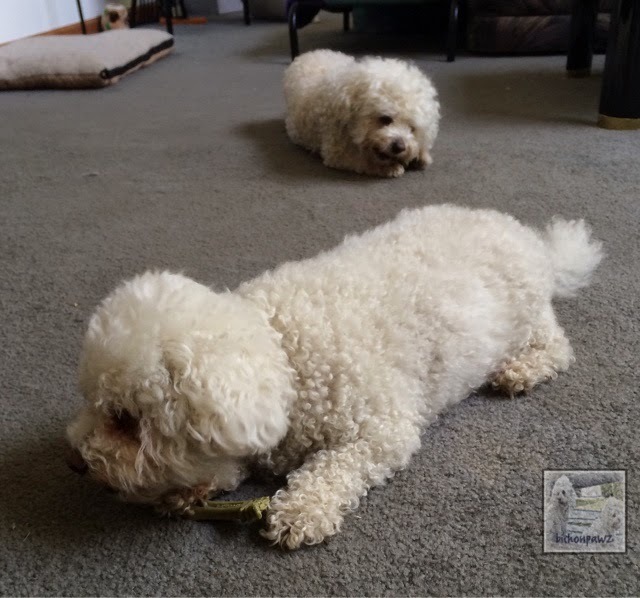 Chloe, Juliet, and Romey are really enjoying their Merrick Lil' Plates delivered right to our door especially for them by Chewy.com!! Connect with Chewy on Facebook, Twitter, and Instagram!! We give these EIGHT Paws UP! Just look at this clean bowl!! We highly recommend these Lil' Plates and will definitely be purchasing more! !